Because of Fiix, we now have a cloud-based CMMS that we can access from anywhere. The software creates valuable asset history which we can call upon at any time, making us better prepared for food and worker safety audits. 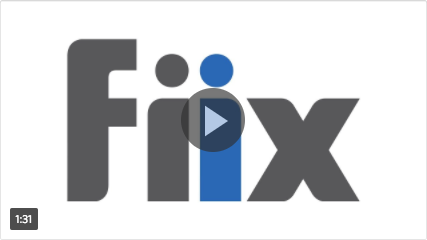 Fiix is a cloud-based CMMS that will make your current maintenance operations more efficient, and provide more detailed reporting and accountability. You will be able to more easily track work orders, schedule tasks, receive external work orders, monitor asset history, manage inventory, and perform preventive maintenance that will lead to longer asset life and less work outages. Depending on your needs, Fiix offers three pricing tiers ($35, $55, or $95/user). To see our complete pricing and feature list by tier, visit our pricing page. Fiix has two payment options, monthly and annual. If you pay monthly, you can cancel before your monthly anniversary date. If you pay yearly, your contract will be for a one-year term with auto-renewal on the anniversary date. If you are unhappy with Fiix and wish to end the contract, you will have the option to cancel at the time of renewal. Setup is straightforward. When you first login, you will setup your user(s) accounts, add your assets, and then create and assign work orders as needed. There are “how-to” videos for each action you will need to take. Personalized training is also available. After you sign up through your account manager, a user account will be created. You will receive an email on the steps you need to take to set up your CMMS. Don’t worry—we will be there every step of the way to help. How do I transfer data from my current CMMS / software? If you are using another CMMS, you can export your assets and work orders into a CSV file and upload them into the Fiix CMMS.